Nasoya tofu is produced in Ayer, Massachusetts, by Vitasoy-USA. Vitasoy-USA provided full and open disclosure. Vitasoy-USA bought mostly domestically grown organic soybeans, but also a fair percentage from China and Brazil to meet demand. Incoming loads are tested for GMO contamination. They write: “A pioneer in bringing Asian-inspired food to the U.S. as “Amer-Asian” cuisine, Vitasoy-USA, Inc. is committed to producing delicious, innovative foods that promote well being and a healthy lifestyle. Look for its premium tofu, soymilk, Asian noodles and wraps, and non-dairy sandwich spreads under the brand names Vitasoy, Azumaya and Nasoya. 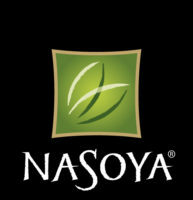 One of North America’s first branded tofus, Nasoya has been the top-seller for more than 30 years and is currently rolling out new Silken-Style Creations, the first non-dairy “dessert starter.” For further information, fast and easy recipe ideas, or to sign up for one of Vitasoy’s educational newsletters, please visit www.vitasoy.com and www.nasoya.com.